Courtesy of Dave Perry Miller Real Estate, Laura Michelle. 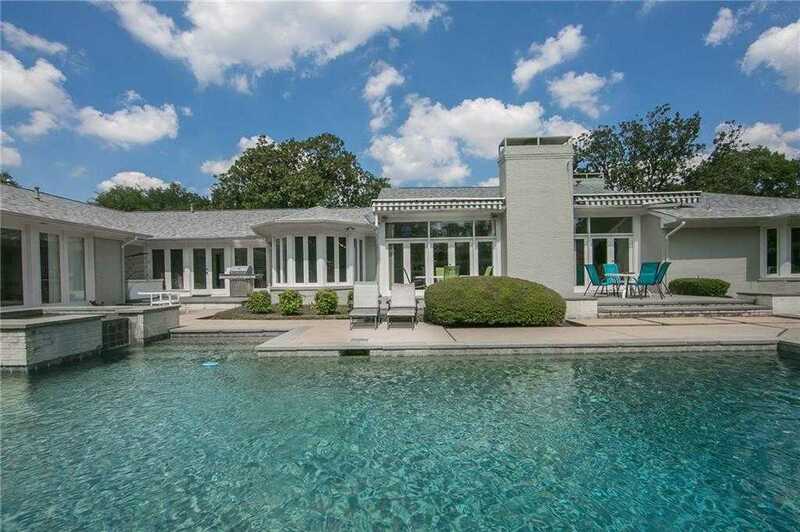 INCREDIBLE OPPORTUNITY IN THE STRAIT LANE ESTATES AREA OF PRESTON HOLLOW. STYLISH SINGLE LEVEL HOME ON 1+ ACRE WITH POOL AND 3 CAR GARAGE. THIS PROPERTY IS BEING SOLD AT LOT VALUE, THOUGH THE HOME HAS HAD EXTENSIVE UPDATING IN THE 1990S WITH AN OPEN FLOORPLAN, HIGH CEILINGS AND LARGE MASTER SUITE WITH HIS-HER CLOSETS AND BATHS. GREAT ROOM FEATURES WALL OF WINDOWS AND FRENCH DOORS OPENING TO THE LANDSCAPED OUTDOOR AREA WITH POOL. UPDATED CHEF’S KITCHEN WITH STAINLESS APPLIANCES AND GAS COOKTOP. THIS VERY SPECIAL PROPERTY IS BEING OFFERED IN ONE OF THE HIGHEST REGARDED AREAS OF DALLAS AND IS ADJACENT TO AN AVAILABLE 1.5 ACRE PARCEL ALLOWING FOR A LARGE ESTATE TO BE BUILT ON A COMBINED 2.5 ACRE LOT IF DESIRED. Please, send me more information on this property: MLS# 13937026 – $1,595,000 – 4722 Lindhurst Avenue, Dallas, TX 75229. I would like to schedule a showing appointment for this property: MLS# 13937026 – $1,595,000 – 4722 Lindhurst Avenue, Dallas, TX 75229.